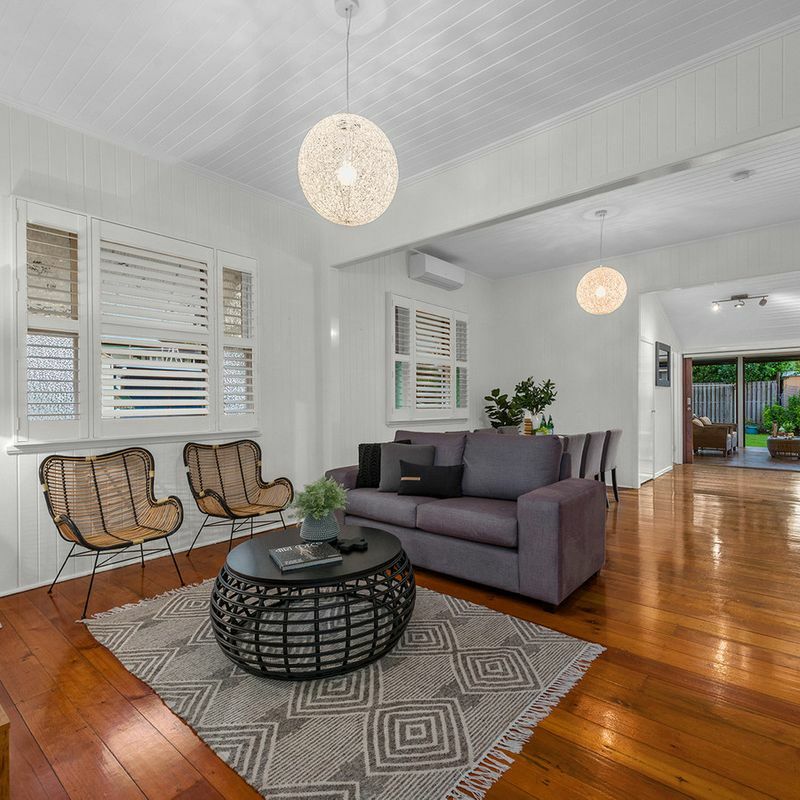 Beautifully renovated in 2013 to offer stylish, sophisticated living, this beautiful home blends old world charm with modern convenience. 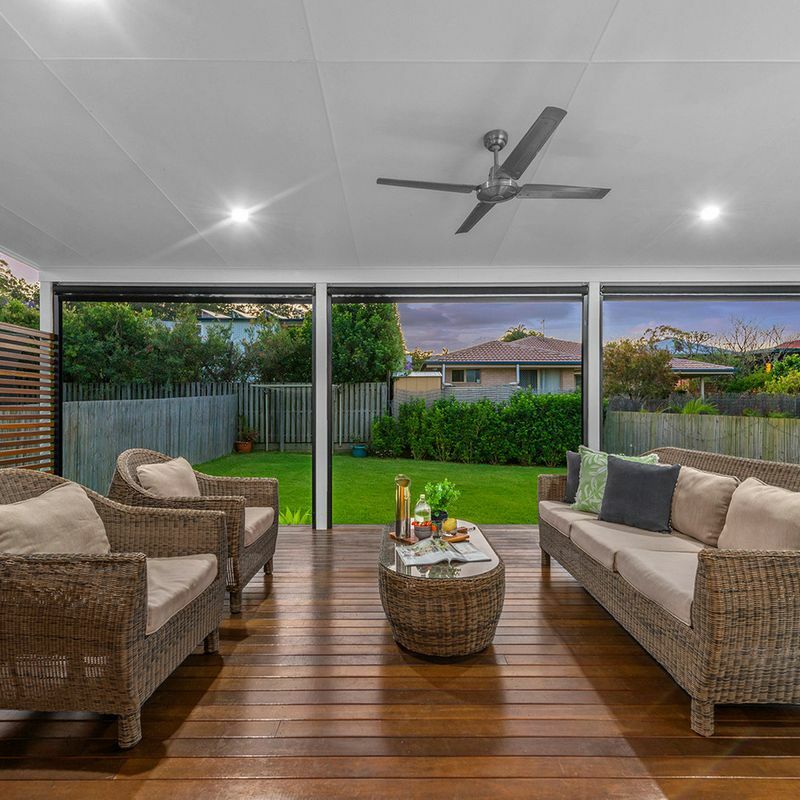 High set and elevated to capture cool, refreshing breezes, the home opens into a welcoming sunroom framed by louvre windows to draw in natural light. 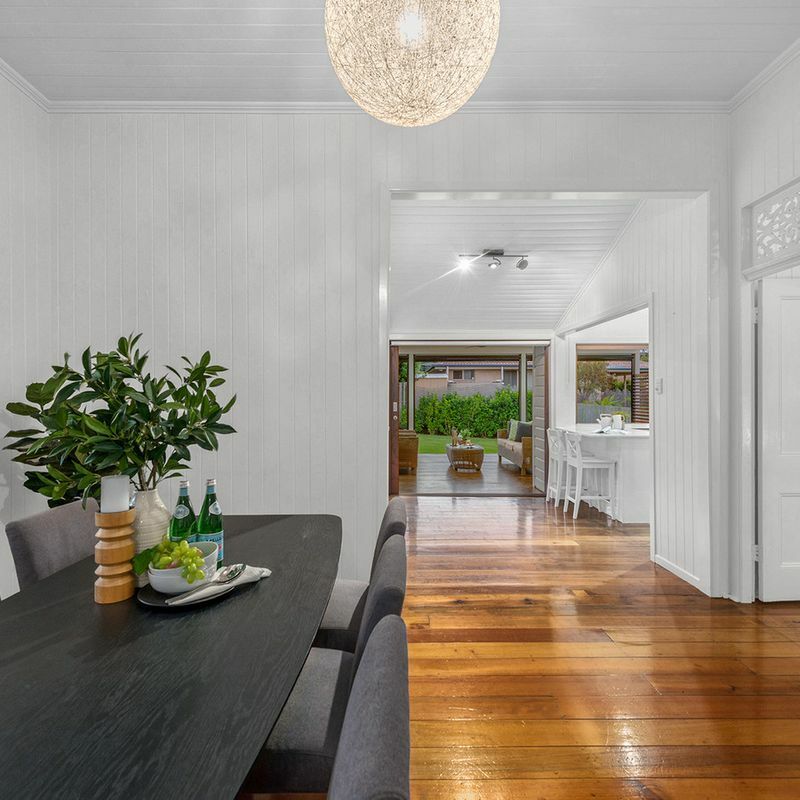 Extending into a spacious, open plan lounge and dining area, the interiors are adorned with an array of character features including polished timber flooring, VJ walls, soaring ceilings and leadlight windows. 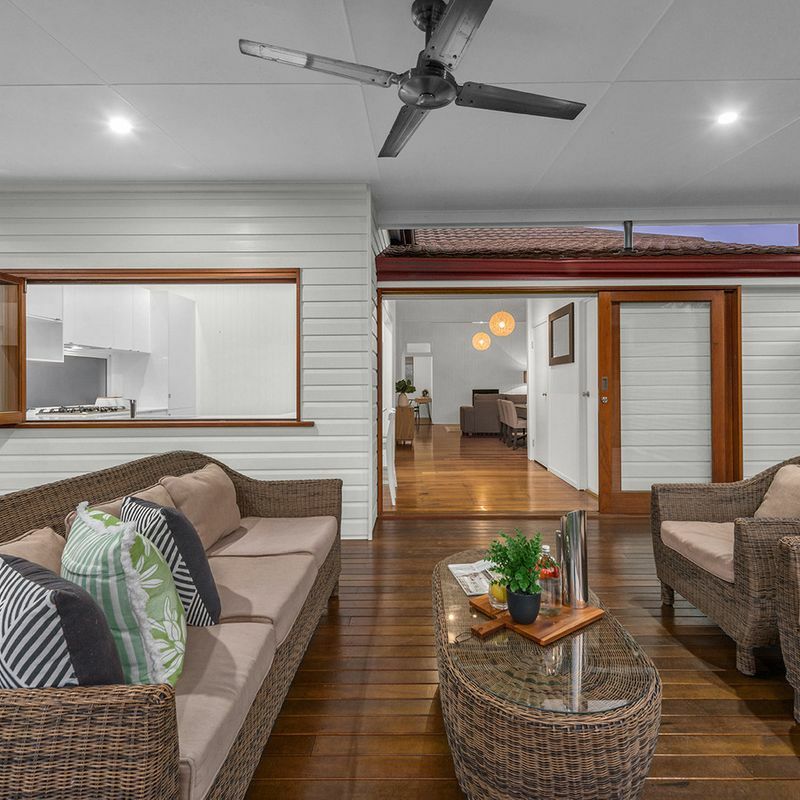 Modernised with air-conditioning, plantation shutters, feature hanging light pieces and Surian cedar window and door frames, the lounge and dining area is relaxed yet elegant and flows into the modern gourmet kitchen and outdoor entertaining space. 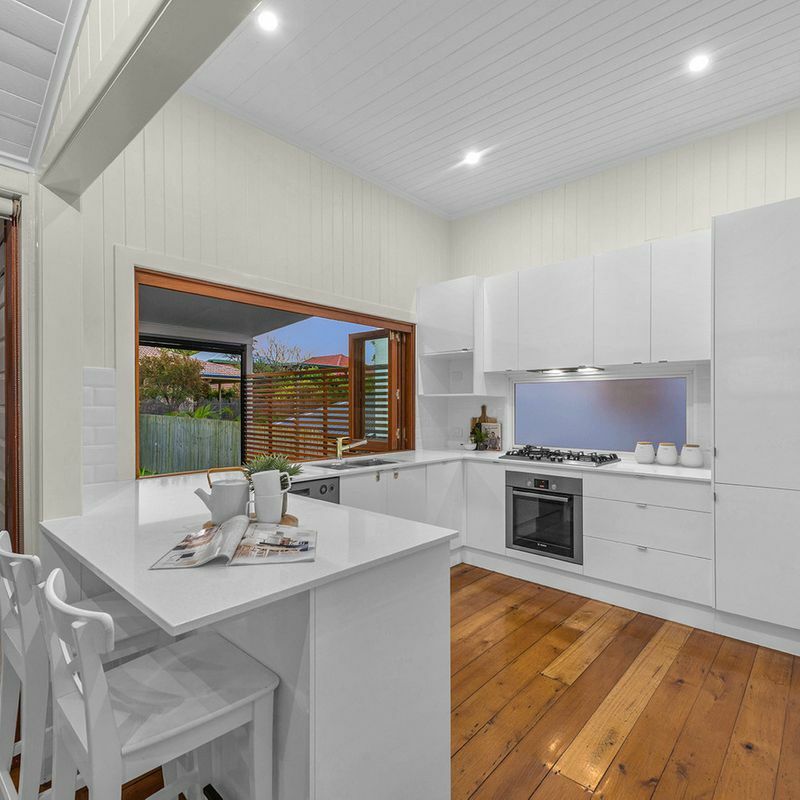 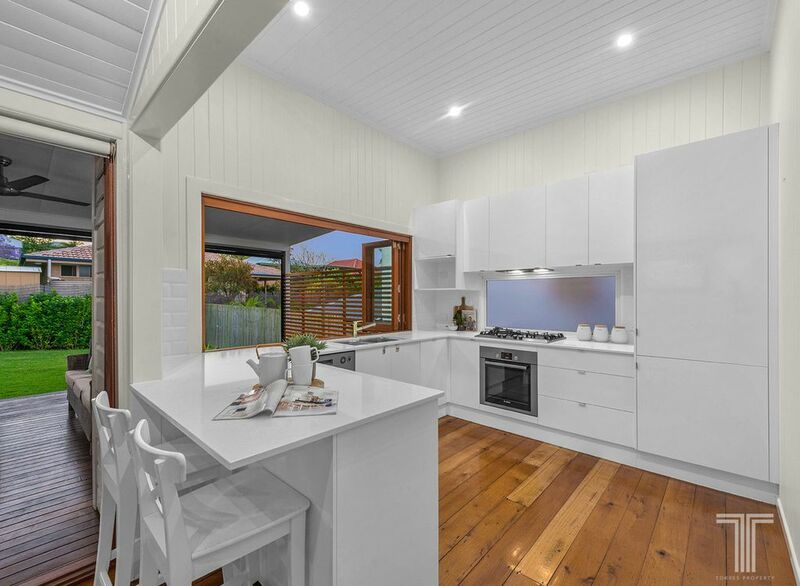 Beautifully appointed and flawless in design, the kitchen boasts wraparound Caesarstone benchtops, sleek white cabinetry, Bosch oven, gas cooktop and bi-fold servery window opening directly onto the Redgum entertainer’s deck to make serving guests a breeze. 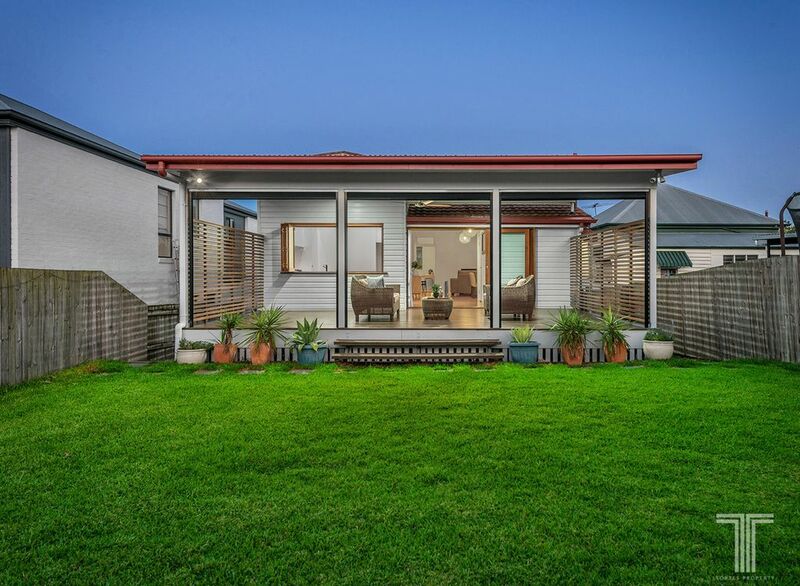 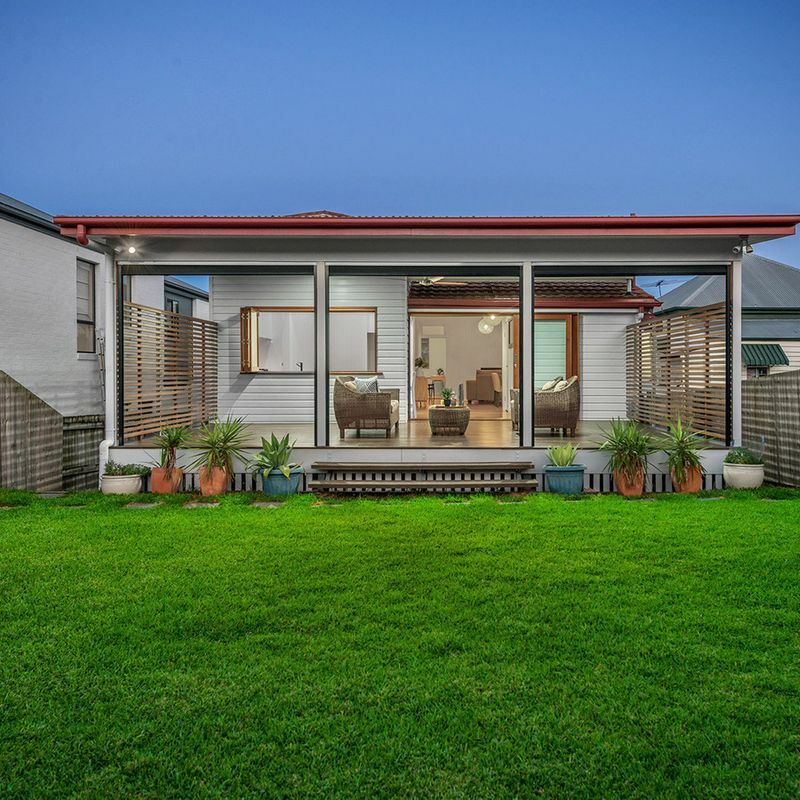 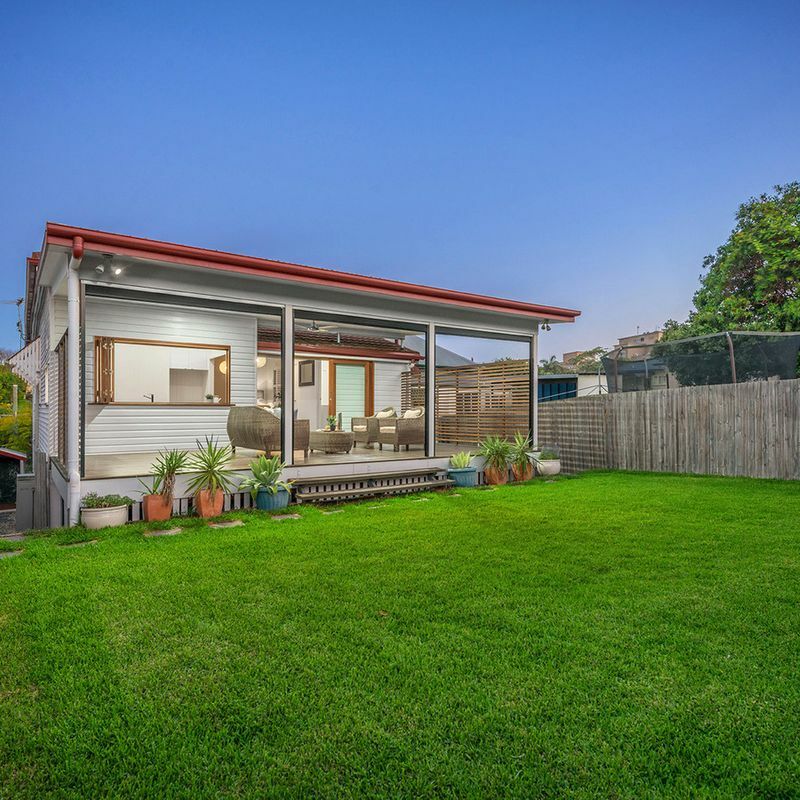 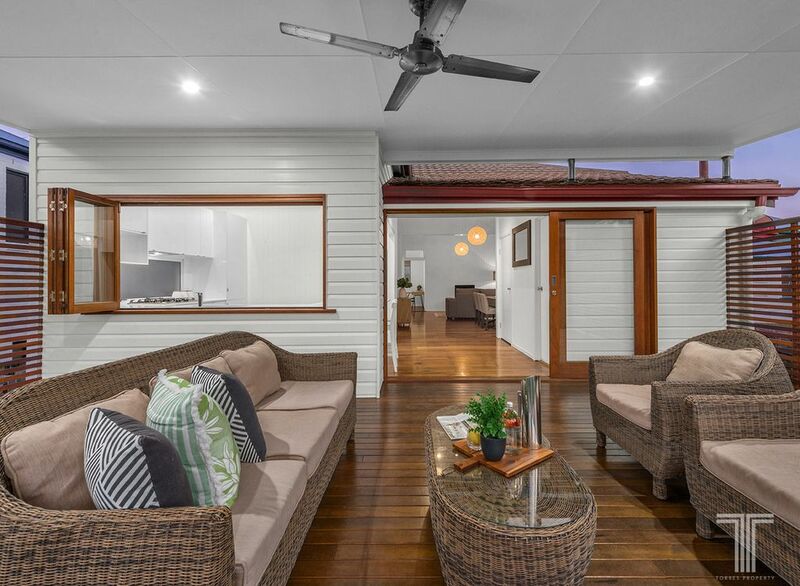 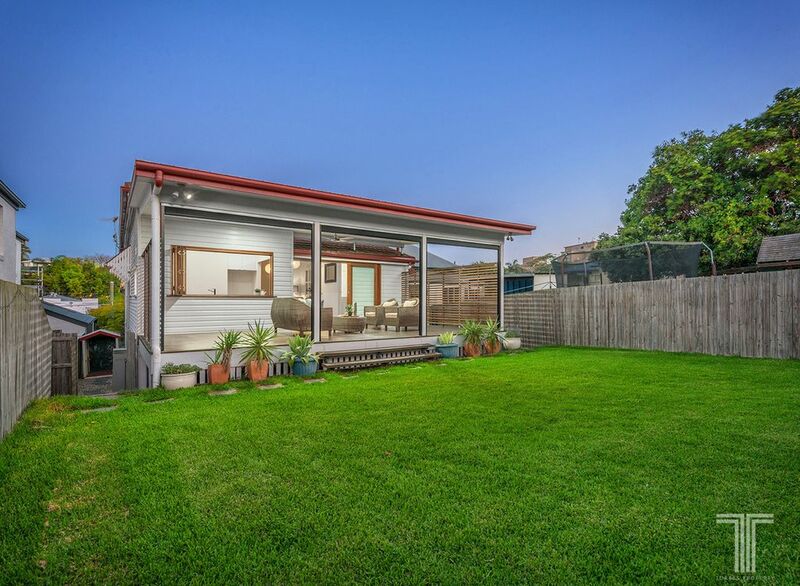 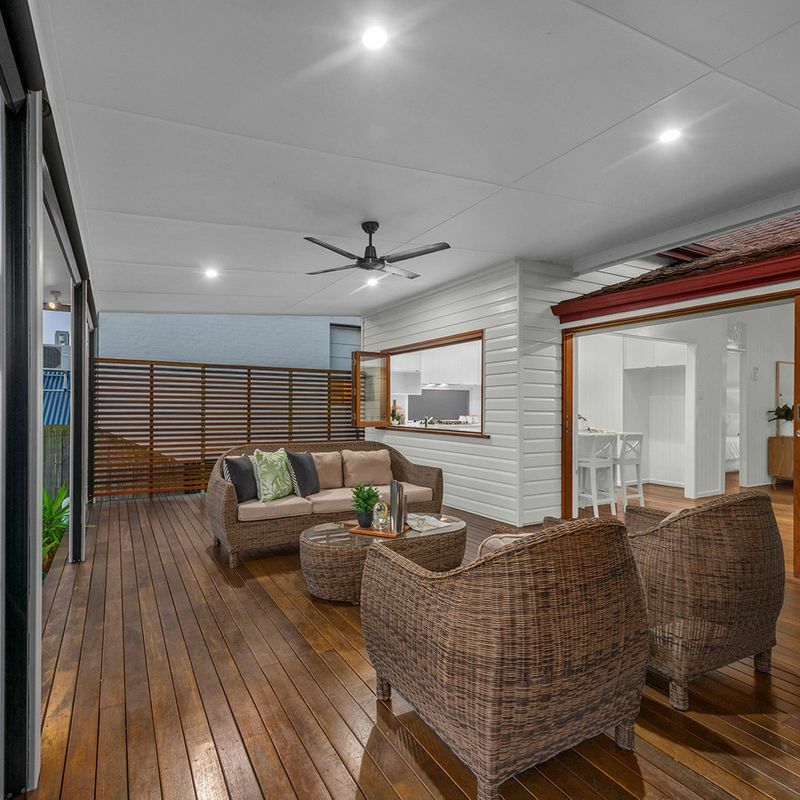 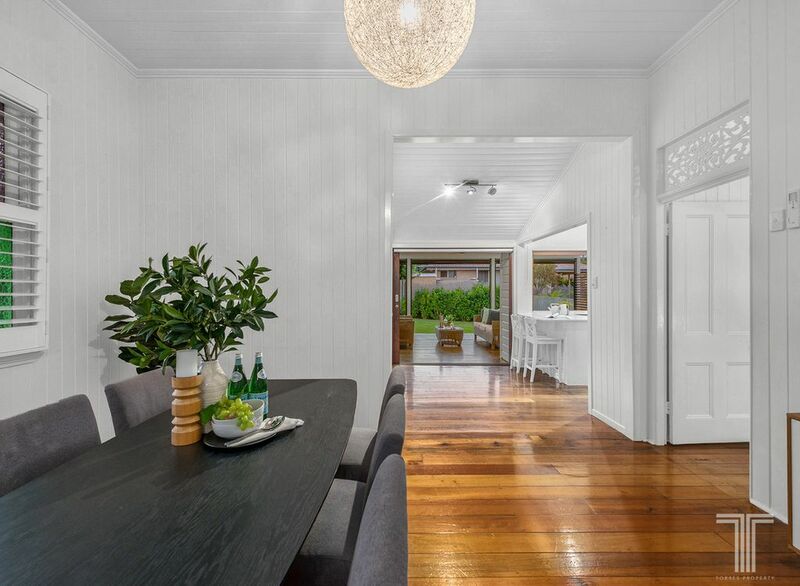 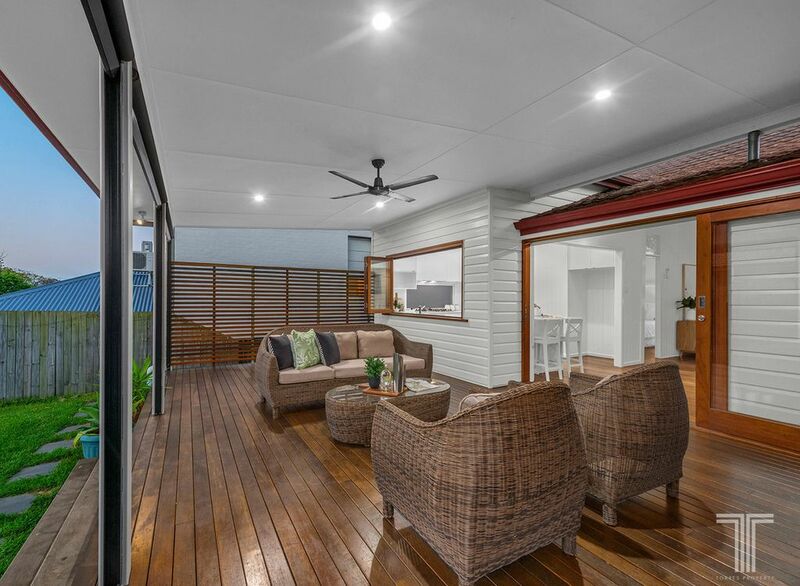 Featuring an outdoor fan, pull down blinds and lovely outlooks over the fully fenced and grassy backyard, the rear timber deck is ideal for hosting guests and seamlessly connects with the indoor living area. 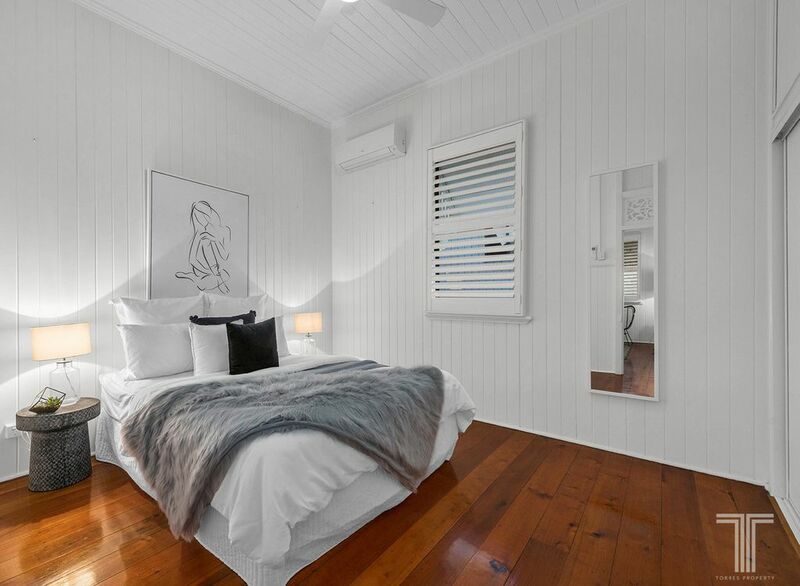 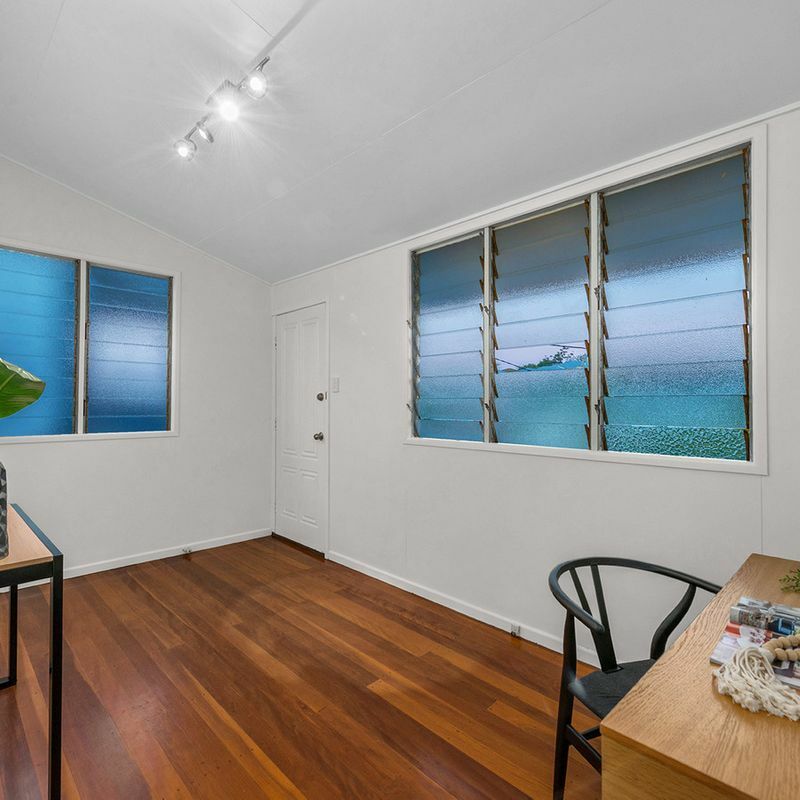 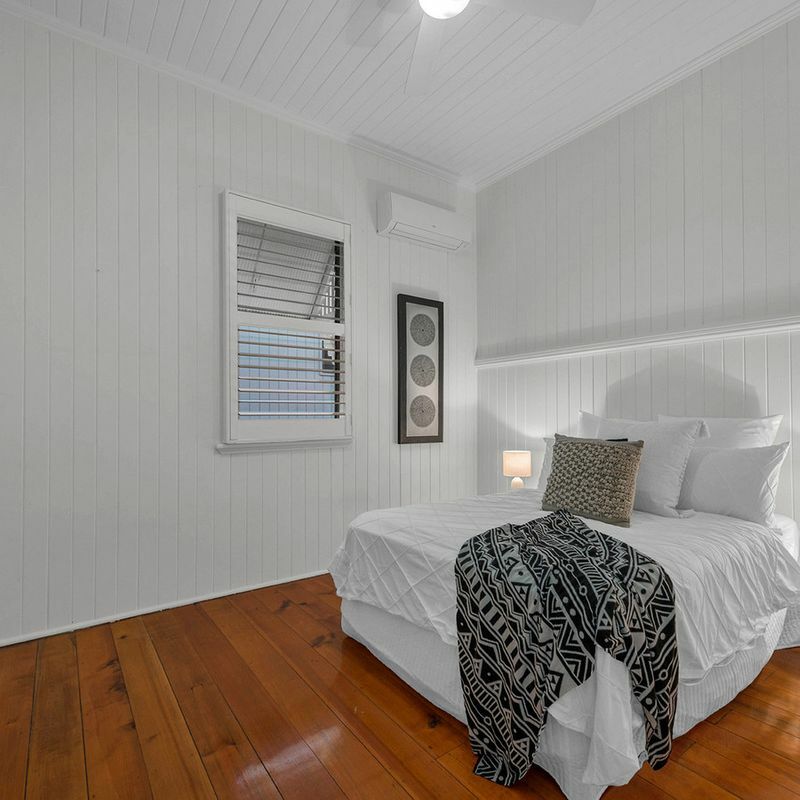 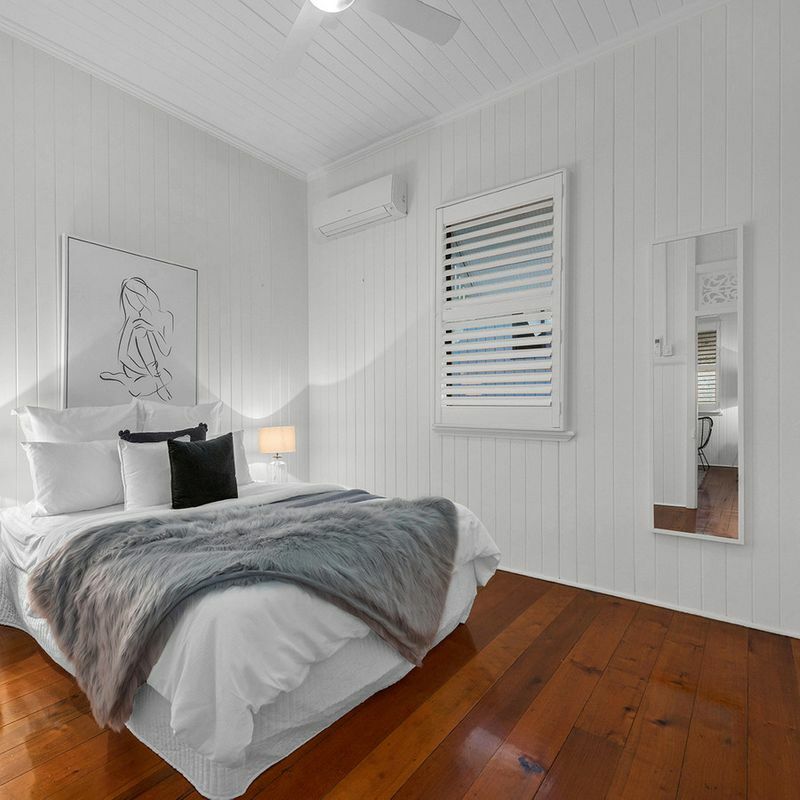 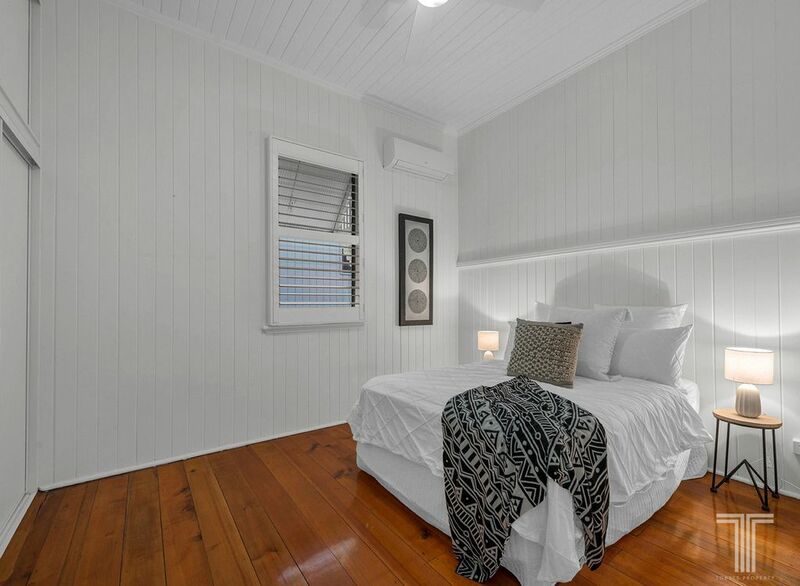 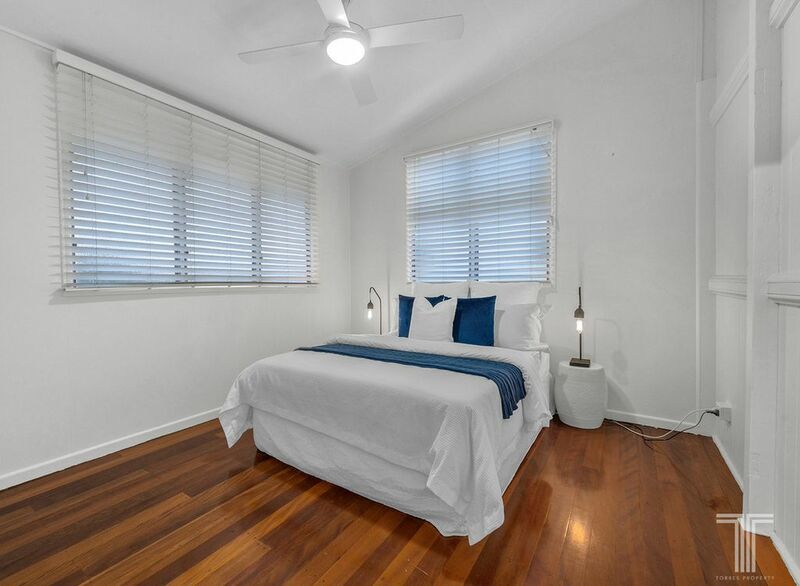 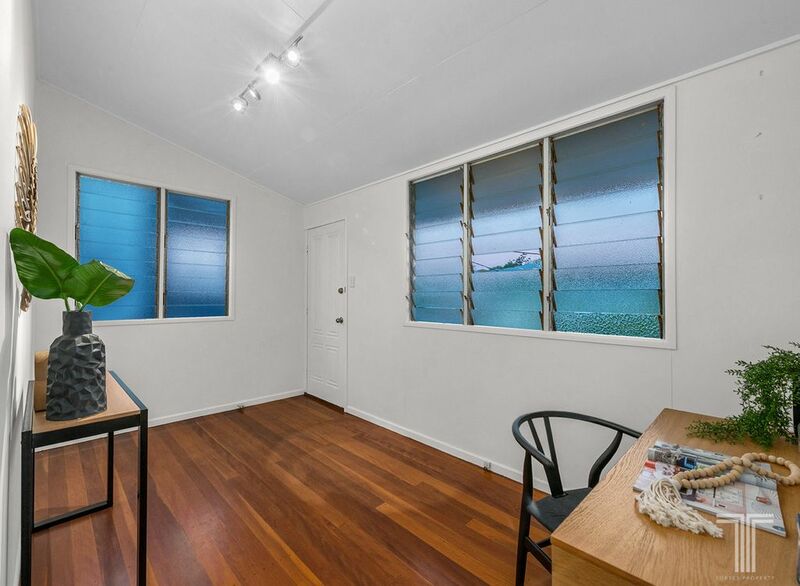 Hosting three well-sized bedrooms, two with air-conditioning and built-in robes, the home is serviced by a renovated, modern bathroom with shower over bath, vanity and toilet. 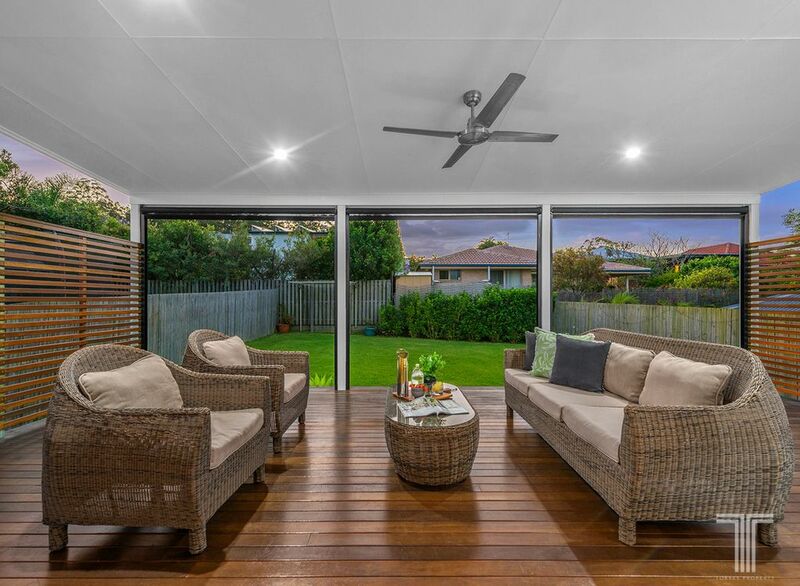 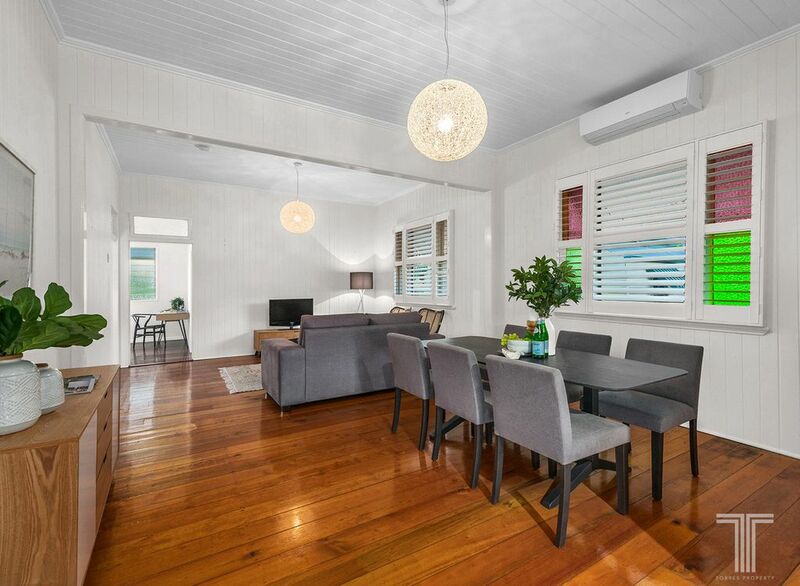 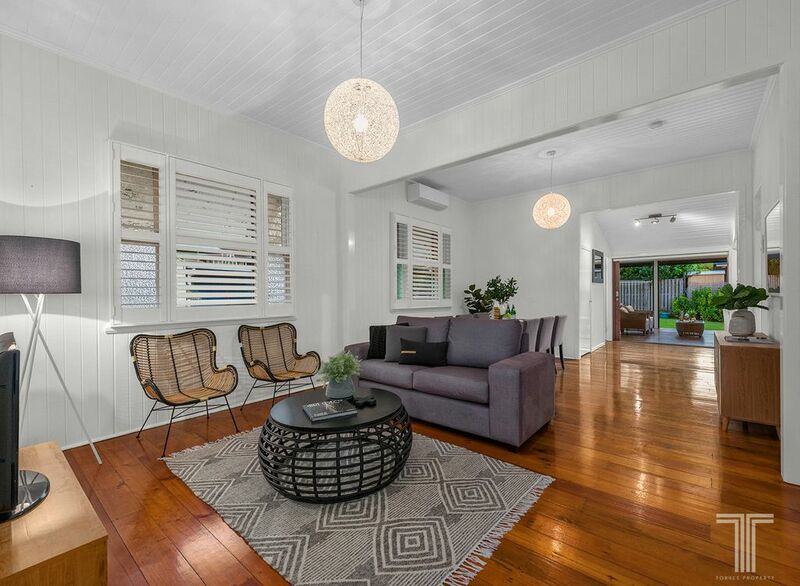 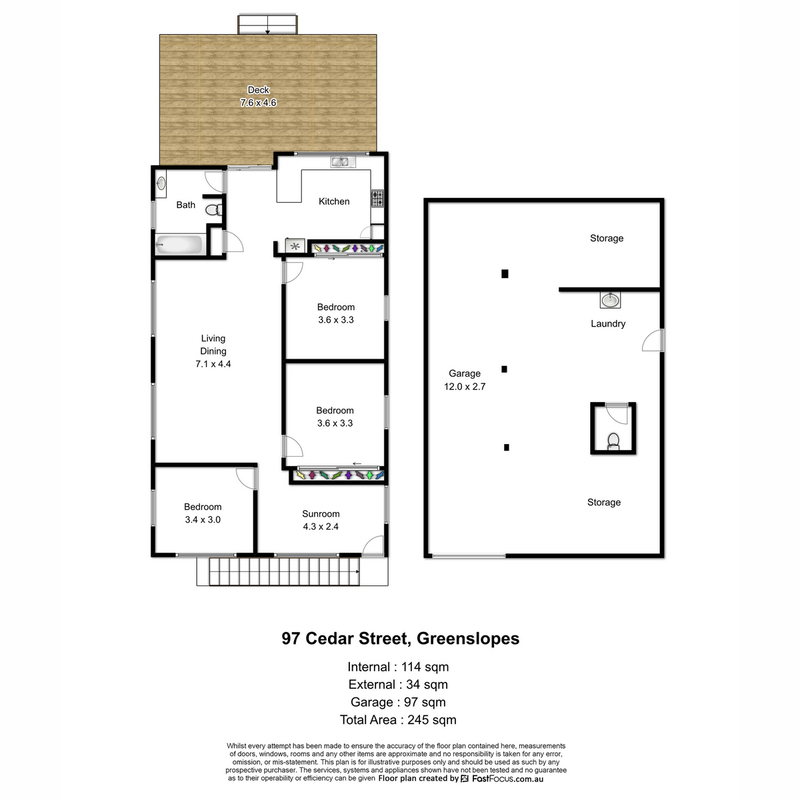 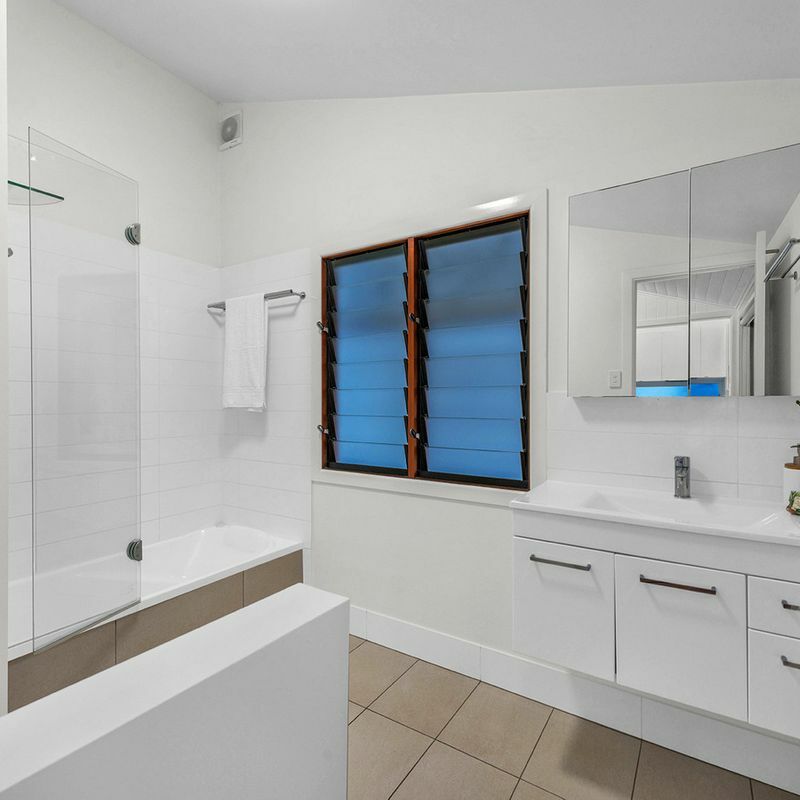 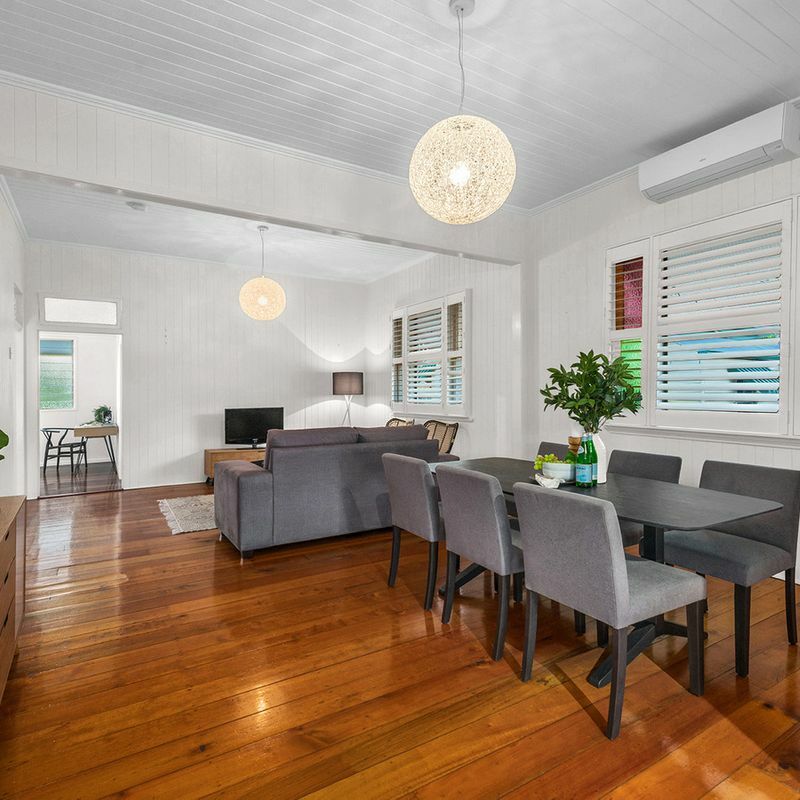 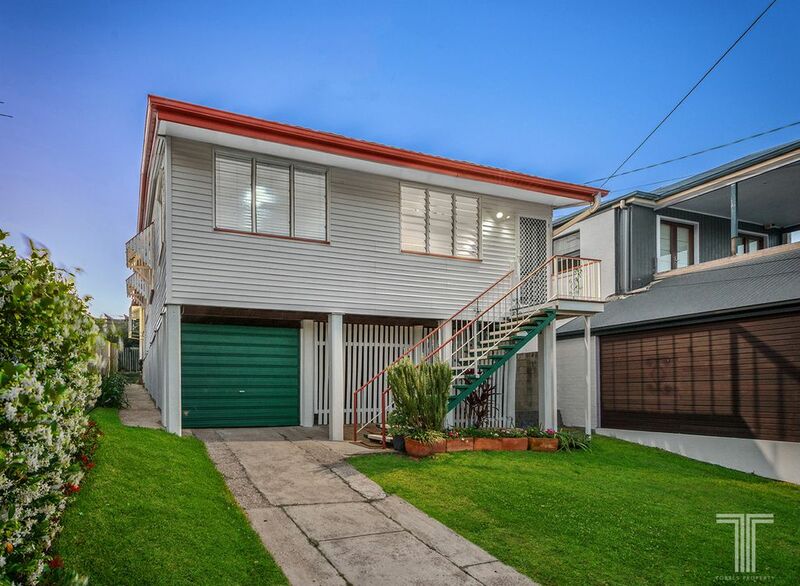 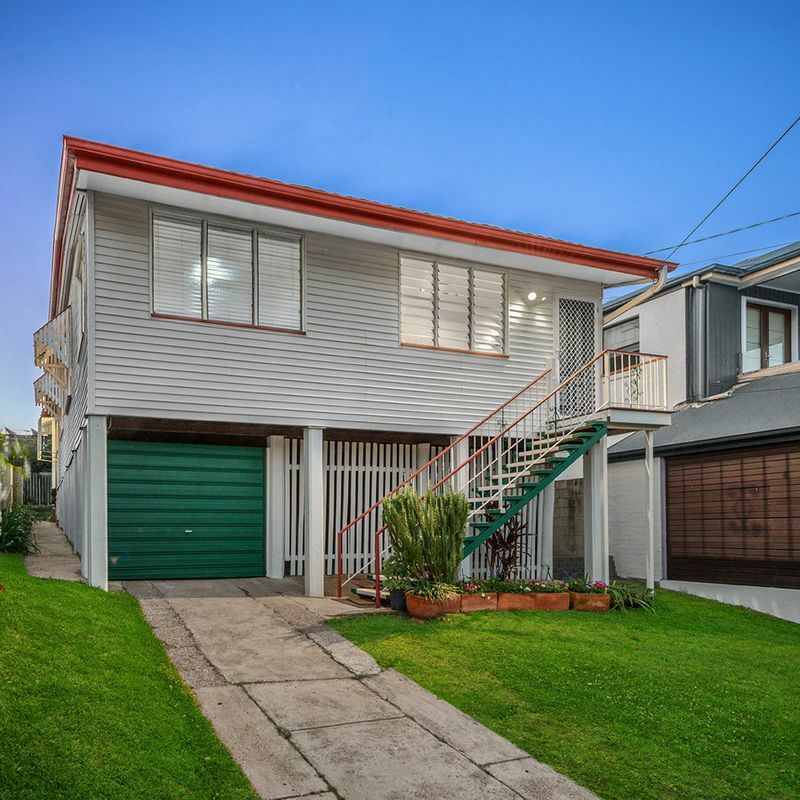 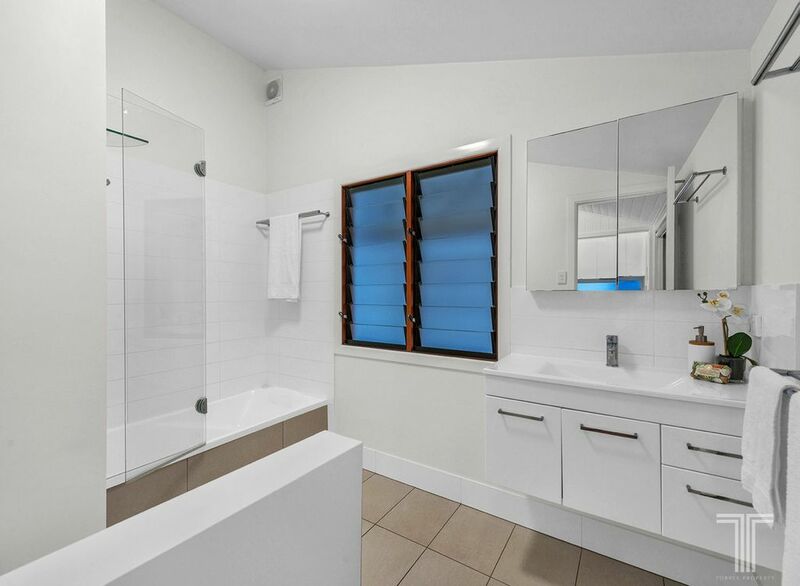 An idyllic position, this home is just a short walk away to Greenslopes Private Hospital, Greenslopes busway, Greenslopes State School, child care centre, IGA, Coles, Greenslopes Shopping Mall, local café and restaurant, Ekibin Park East and Thompson Estate Reserve. 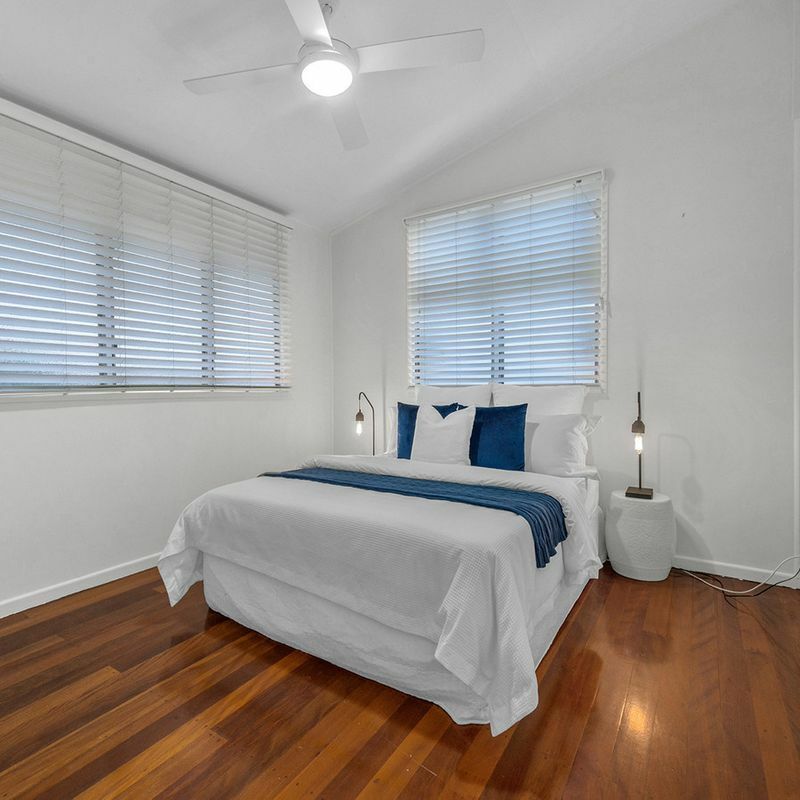 Only a moments’ drive to further quality schools, Stones Corner Village, Buranda Village, Coorparoo Square and the Pacific Motorway, this ultra-convenient location has it all.